IN.S.A.N.E. 2015 and pop-up events-Films to BOOK at your event, schroll down for filmdescription- Program at IN.S.A.N.E. 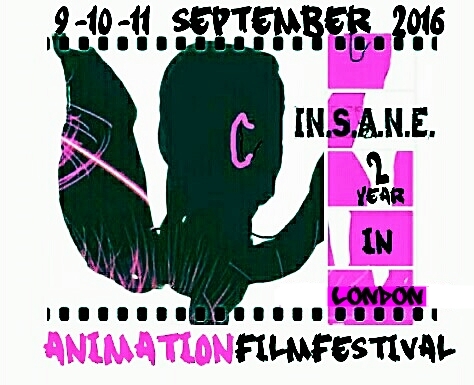 animation film festival and film description | IN.S.A.N.E. animation film festival 9-10-11 september 2016! Book IN.S.A.N.E. 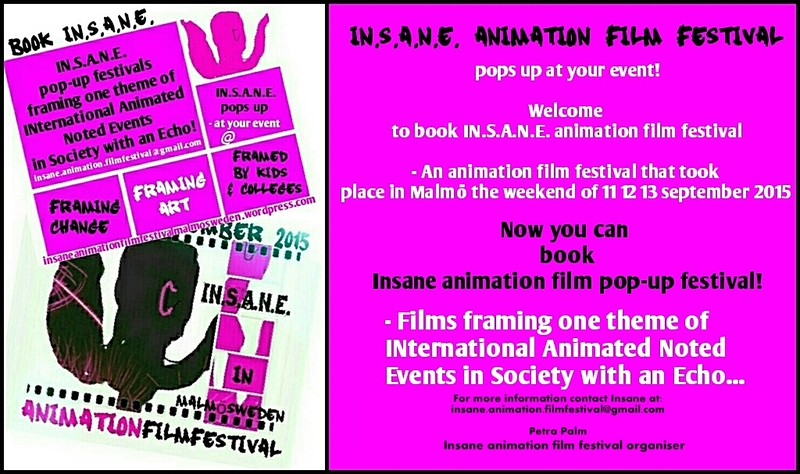 animation pop-up film festivel to your event! a venue close to the old daytime venue Panora. The evening program at Iranska Kulturhuset, 7pm-12pm, will copy the themes of the daytime program. Every film that is accepted will be screened. An INternational Animated film festival in Malmö, Sweden, to celebrate 100 years of Swedish animation with an animation festival/fair. 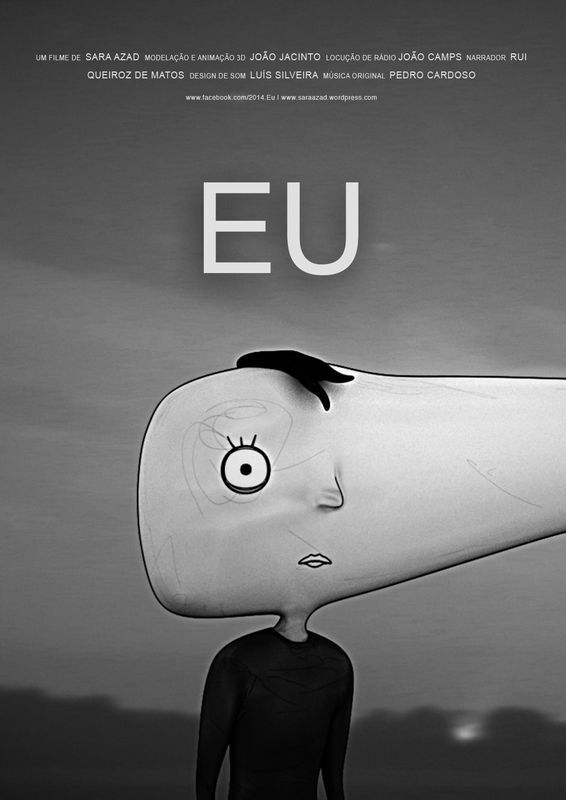 An INternational Animaton film festival that will take a stand for Noted Events in Society, with an Echo. The film festival is free and it is not a contest. You are welcome to buy an IN.S.A.N.E. badge at one of the bookstores in the foyer at Panora and at Iranska Kulturhuset to support the festival. IN.S.A.N.E. animation film festival is a private initiative to make a platform for animation artists to show their work, meet like-minded people, grow the interest for animation and stop-motion films, to show how various cultural manifestations are linked and to show different ways to see life in society, globaly. IN.S.A.N.E. animation film festival is happy to announce that over 1150 animated films, 1min to a little bit over 1h, from all around the world, have been signed up and 200 of them are screened at Iranska Kulturhuset a venue for about 50 people. Music videos and films with music will be shown on the Restaurant Spice , a dinner party on the opening night, after the opening, for the participants and invited guests. The festival will show films in the original language, most have English subtitles, others do not. Some movies are just in English. An opportunity for you to take part of films from other countries in all possible languages. The film festival will show INternationell Noted Events in Society with an Echo, with opportunity to mingle, origami workshop., stop-motion filming your origami figures and to take note of the information and book stalls. The evening program at Iranska Kulturhuset, 7pm-12pm, will copy the themes of the dayprogram. Every film that is accepted will be screened. Opening evening at Iranska Kulturhuset, drinks and snacks, presentation of Swedish animation history of 100 years and a few short films in the same style as the first Swedish animation film , Trolldrycken, The Demon drink, 1915 . Invited guests continue at Restaurant Spice where music videos and films with music will be screened. A dinner party on the opening night, after the opening, for the participants and invited guests. There will be a mix of films made by students at colleges from around the world, continue with Art as life and end with magic. The daytime is divided into 3 different film blocks with 1-hour intervals for the opportunity to mingle, origami workshops,stop-motion filming your origami figures and to take note of the information- and book stalls. Closing Festival for big and small ,with cute stories , children’s film , a mix of films made by children at culture- animation schools and students at colleges from around the world. The day ends with Framing change theme and Thousand Cranes for Peace & Environment 2015. A closing of the festival with short films dealing with the situation in our world concerning war, peace, environment , freedom and love. This year is the first IN.S.A.N.E. 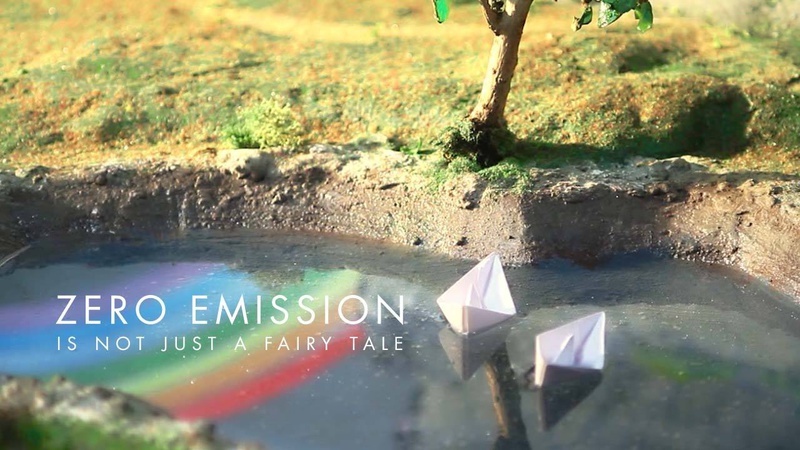 animation film festival and the vision is to grow into a animation fair in Malmö, Sweden. This is the first time ever for the festival to take place and we look forward to having you as a visitor and special guest at the festival and Iranska kulturhuset. The eveningprogram at Iranska Kulturhuset, 7pm-12pm, will copy the themes of the day. Every film that is accepted will be screened. The festival begins with an opening night at 6pm-8pm. Drinks and snacks are offered in the foyer and then the evening begins with a talk about 100 years of Swedish animation history. 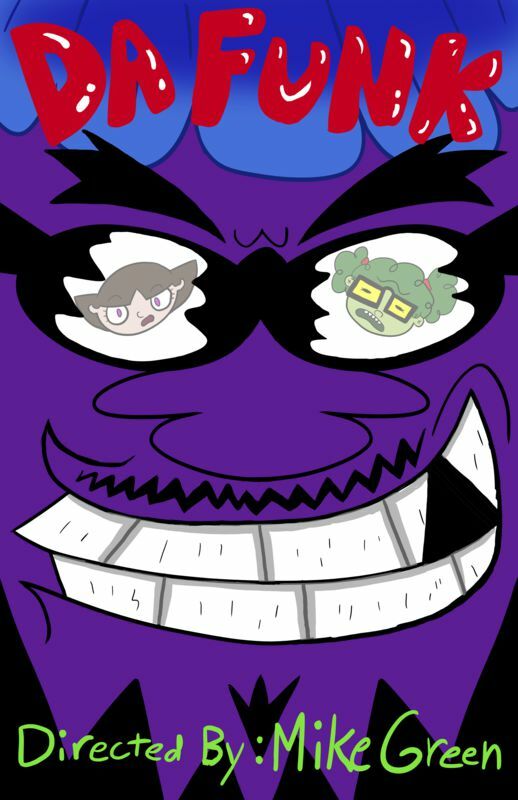 After 1 hour of animation history , there will be some short films in the same style as the first Swedish animation film , Trolldrycken, The Demon drink, 1915. 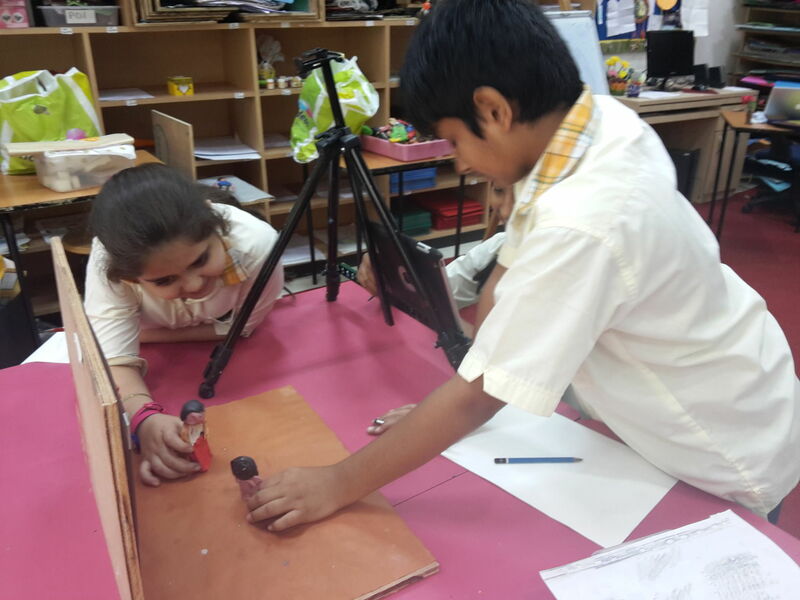 And there can be more to come… UR talks about their animation production. 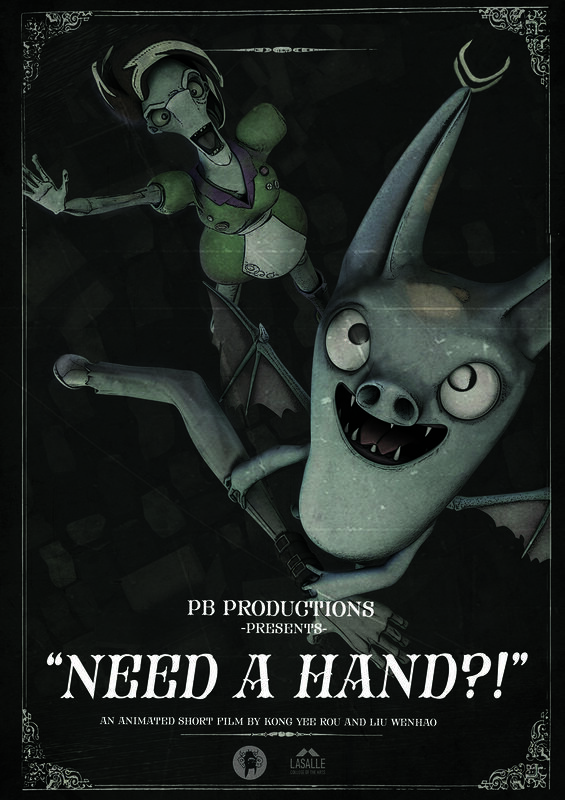 För exakt hundra år sedan visades Victor Bergdahls animerade film Trolldrycken för första gången, vilket innebar den svenska animationens födelse. Bergdahl skulle snart skapa den animerade serien om kapten Grogg och en spännande resa tog fart. 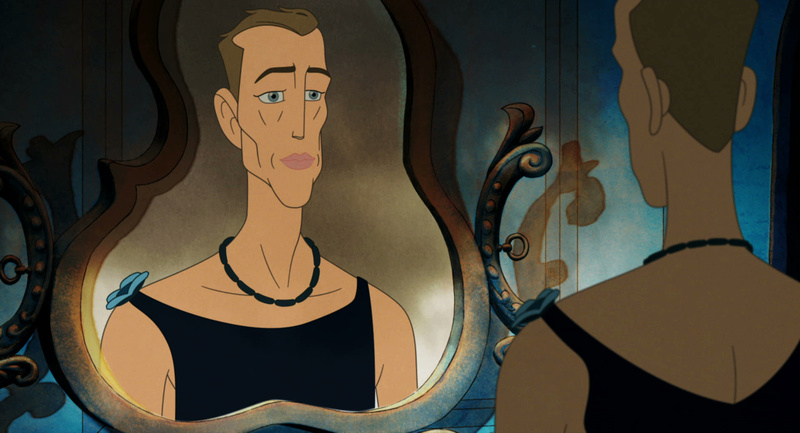 Svensk animation framstår idag som en vital 100-åring som i sitt sköte bär en rik tradition av animerad barnfilm, animation inspirerad av moderna tecknade serier, dokumentärt och mycket annat. Välkomna till en resa genom svensk animations historia i form av en föreläsning som presenterar en spännande utveckling av ett något försummat filmhistoriskt fenomen. Föreläsningen är illustrerad med utvalda klipp från tidstypiska filmer. Midhat ”Ajan” Ajanovic: filmvetare och programansvarig lärare på programmet 3D-animation & visualisering vid Högskola Väst i Trollhättan is an author and film maker born in Sarajevo (Bosnia). He has published many books in various genres and in several languages. 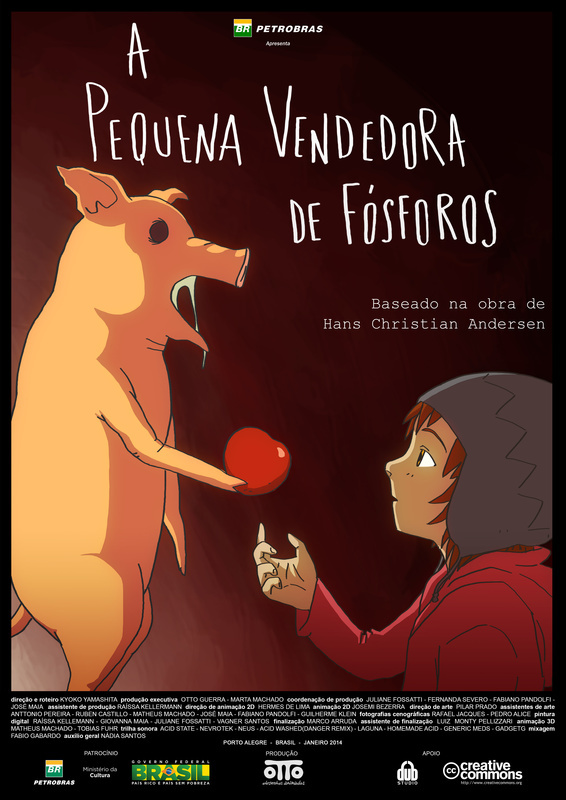 Some of his books dealing with history and theory of animated film will be sold in the foyer during the festival. After 100 years of Swedish animation history there will be short animated films screened which follow the style of the first Swedish animation film, The Demon drink, Trolldrycken from 1915 and the first film submited to Insane, Thought Power from Nigeria. Take a journey from the past to present day of the ins and outs of Turkish culture and its politics. A man walks above a line that tries to sabotage him. Invited guests continue 8.30 pm-1 am at Restaurant Spice where music videos and films with music will be screened. A dinner party on the opening night, after the opening, for the participants and invited guests. The day is divided into 3 different film blocks at 11am-12am , 1pm-3pm, 4pm-6pm with 1 hour intervals for the opportunity to mingle, origami workshop , stop-motion filming your origami figures and to take note of the information and book stalls. The evening program will have short breaks betwen the film themes. A mix of films made by students at colleges from around the world. A bully causes a normal school day to become funky. 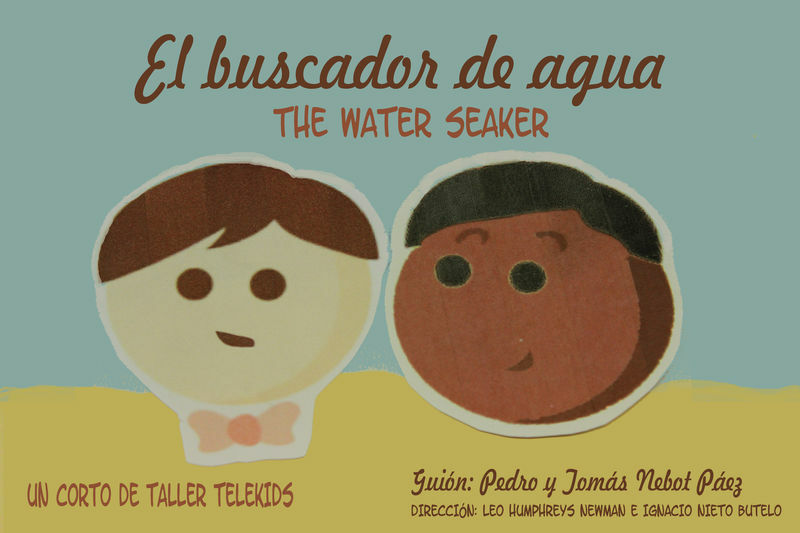 A playful animated film that revolves around an umbrella superstition. 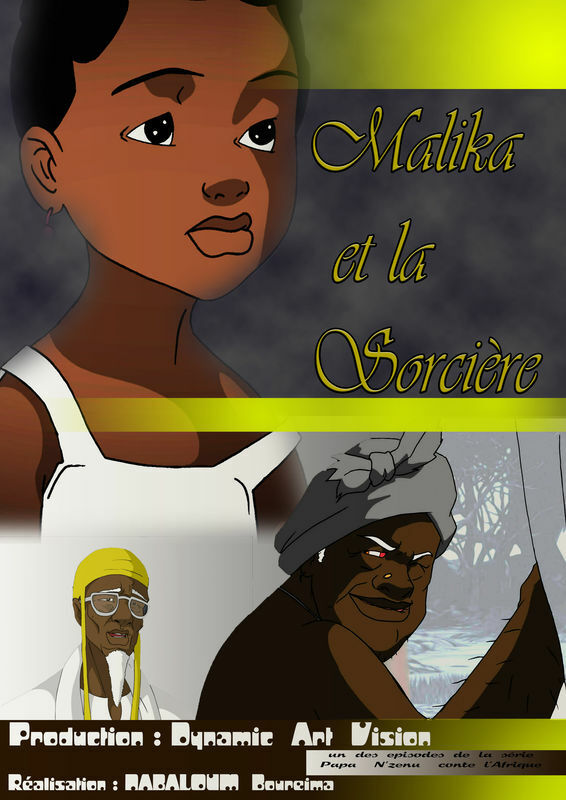 A bubbly girl made a discovery and decided to go against her granny to save their world from drought! The film is about one random day of the life of a homeless cat, how he explores the city of old Beijing. 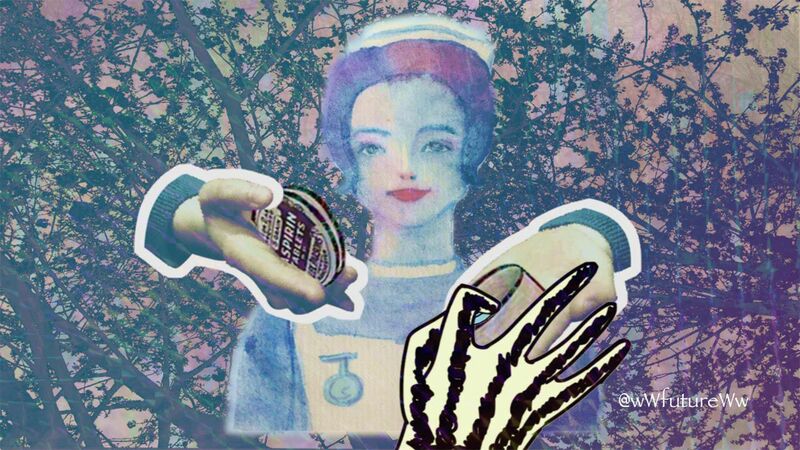 The animation is about a patient who takes an aspirin, but suffers bad adverse reaction which gives him strange and incomprehensive hallucination. I want to show that during the innovation of medicine in Victoria time, there was little control of the drug and medicines used by patient and because of many accidents were possible in pharmacy. In a futuristic Singapore, Siew Li, a grumpy old lady mechanic creates cleaning robot Ah FAI (friendly artificial intelligence) to help clean up her apartment while she fixes her vacuum cleaner. Child-like Ah FAI wants Siew Li’s approval, but she treats him like an appliance. Ah FAI tries to impress Siew Li through its cleaning antics but ends up messing up her apartment. Communicycle discusses the changing of technology and its affects on day-to-day relationships. 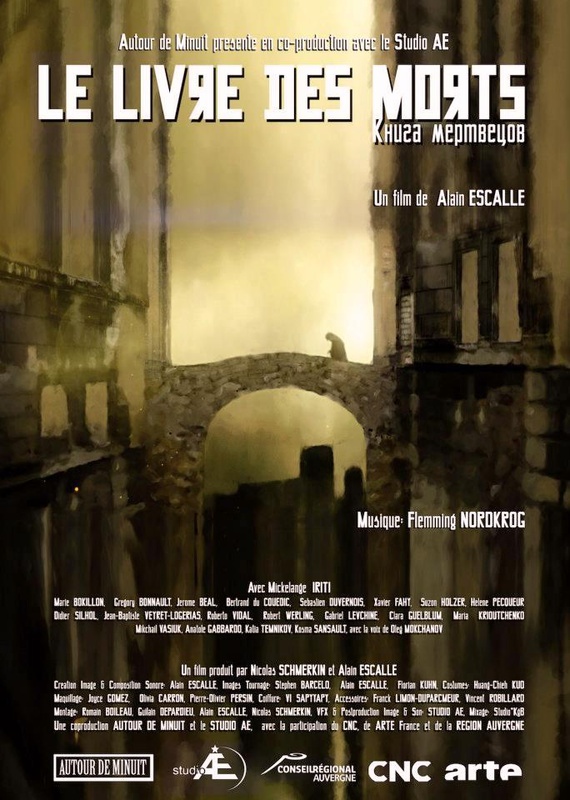 “Emil is an old man whose loneliness and memories of war have made him lose his mind. He and his faithful companion Edgar, an old flea-ridden mutt, try to survive in a society they fail to understand”. Ego, greed, money, power, prestige, hate, love, beauty, sacrifice… and… life. Remaining is just a file. Sad dog meets overly enthusiastic hand. 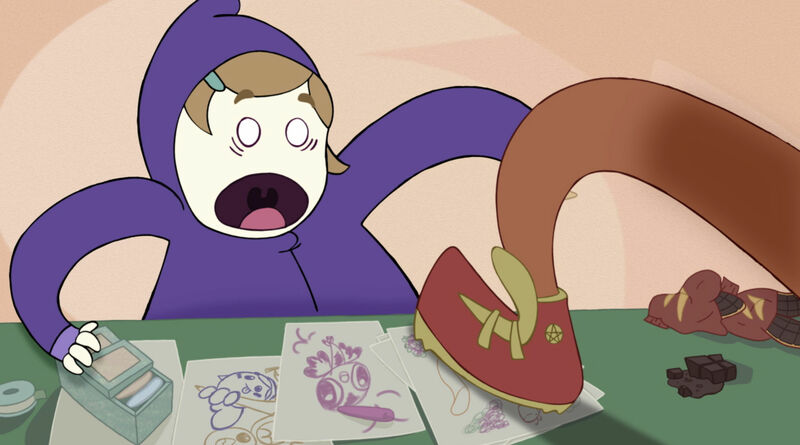 1pm-3pm we continue with the theme Framing Art as Life beginning with short animation films on the theme and continuing with two contemporary animation producers in Malmö, Sweden talk about their work and show parts of their production. 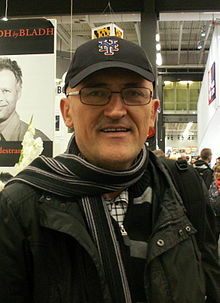 Henrik Möller: active animator and film maker in Malmö , who makes daring social realism zero budget films. Möller studied at the Malmö Film School in 2001 and 2002 , Fridhem Folk High School’s video course 2002- 2003 and the Institute for Higher television training in Gothenburg 2003-2005. 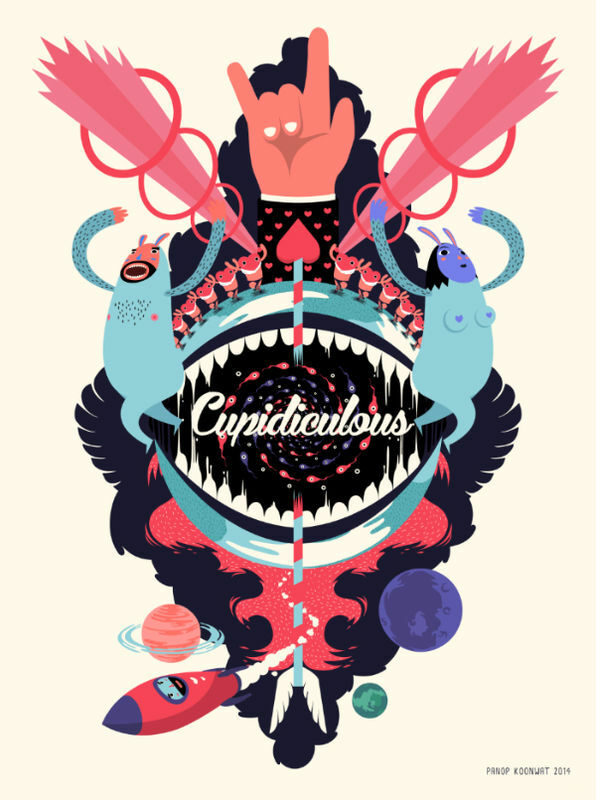 Conor McMullin: an Irish animation artist based in Malmö. He is specialised in preproduction, Timing Direction and Storyboarding, and works on a lot of international projects as 3d animator at Smartfilm AB. Souls of a white world create light until one becomes faulty. 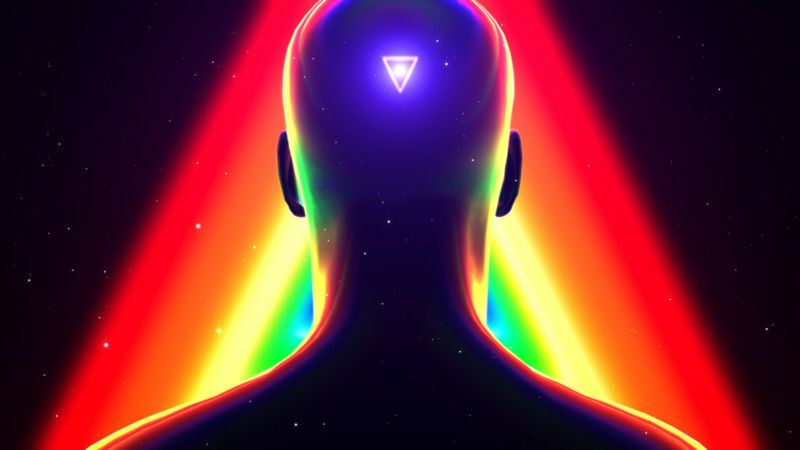 “Paths of Light” is an abstract poetic journey that appeals the observer pure imagination. Dutch themed animation is inspired by M.C Escher, his work of art and the paradox within his creations. Videopoetry “River Fleet sailor’s death” (poetry by Serhij Zhadan). – A one minute moment of 60 endangered species. A sphere made of mirrors fuses with self-willed rocks to form a bust. 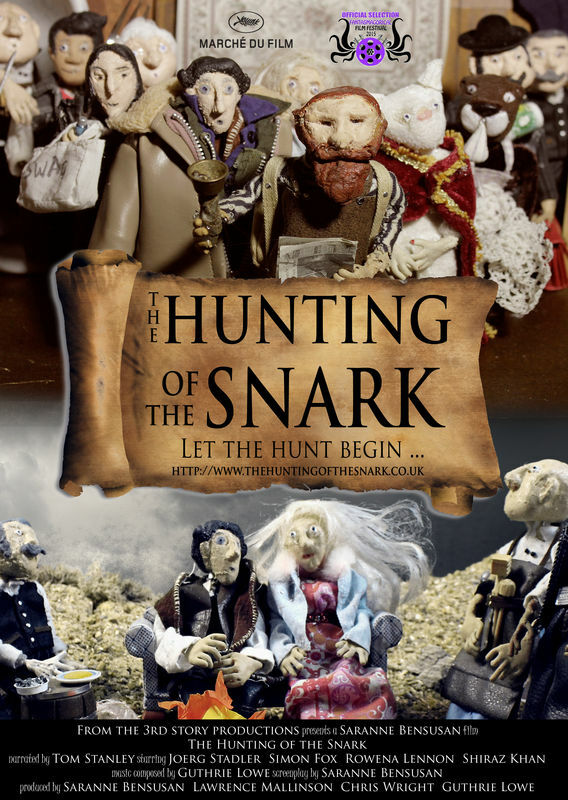 Based on Lewis Carroll’s final poem, this is the story of a group of strangers that come together to hunt the mysterious Snark even though none of them know what it is or really have a hope of capturing it if they found it! 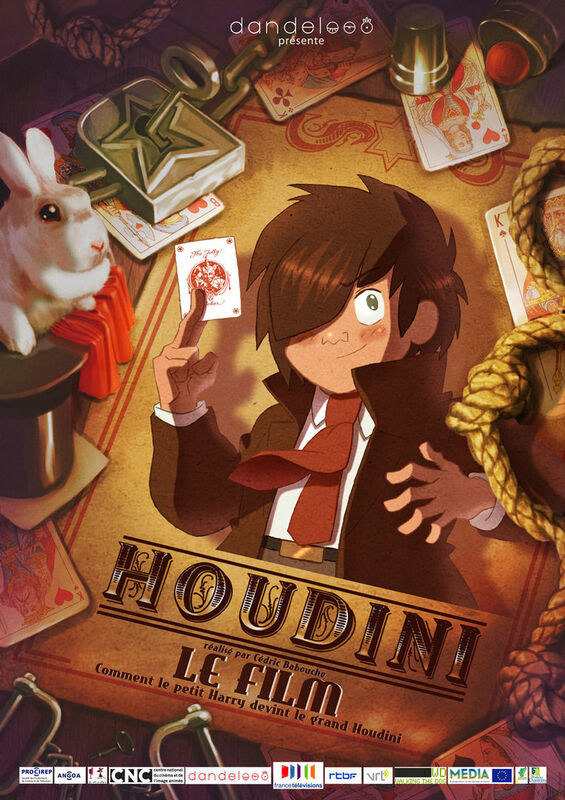 The afternoon ends at 4pm-6pm with Framing the magic with short films on the theme and concludes with a feature film, Houdini . Once upon a starry night, a small boy with the head full of fantasies witnesses dreamlike circus performances. Dazed by endless chain of glittering attractions he realizes that the price for a ticket to the fantastic circus tent is too high and gate between reality and dream is closing. Drop by drop a large container of water (slowly) starts to fill with water. 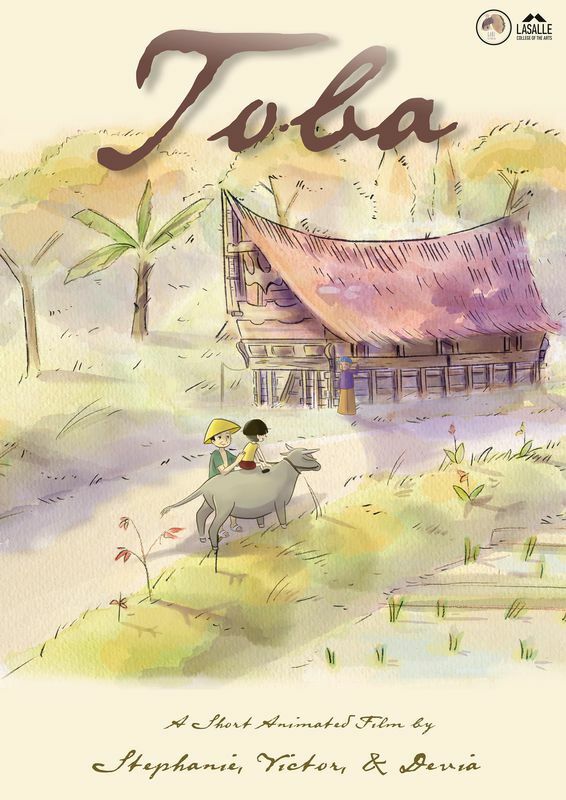 “Apara the boy who comes and goes”, tells the story of a boy in an African small village . The boy’s name is Apara. On the other side of the world lives Gideon, a boy of the same age in a city where he has everything. She is just a child who struggles to survive in the concrete jungle. She was born unwanted, survives in the infamous way and she will die rejected being the way she is. Indigent, dirty and uneducated. In refuge of the imaginary, she finally finds comforting end. Kiko is a “magician” who, with a pencil, brings his creations to life: beautiful teddy bear dolls. 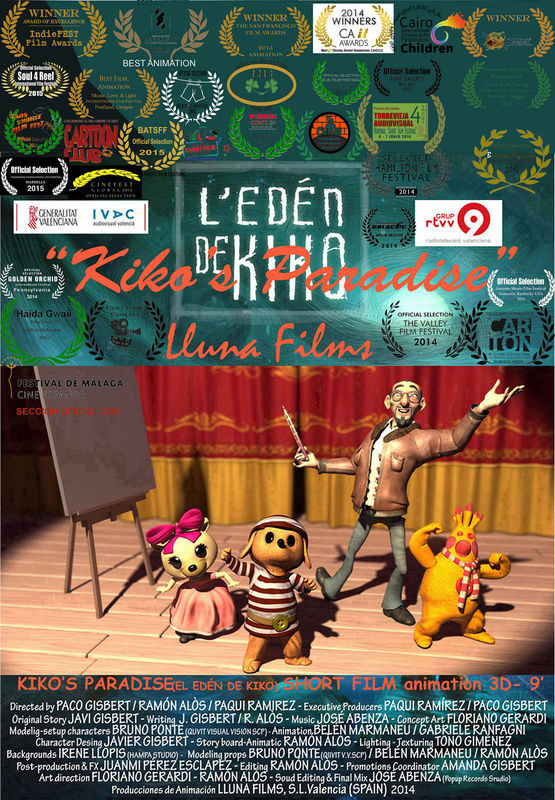 While in a world tour with his dolls Kiko has an airplane crash and remains trapped for twenty years on an island with only one surviving doll: Boro the teddy bear. Ten-year-old Harry has been obsessed with magic since infancy. But it is tedious and relentless work to learn magic, will Harry be strong enough to become a true magician? It’s the beginning of a long and winding road for Harry. There will be a mix of films made by students at colleges from around the world, continue with Art as life where Stephie Pheodora, a contemporary animation producer living in Berlin will talk about her new project, Black hand animation and Straight from the whom. and show parts of that production. The evening ends with magic. Nuberto is a magical boy who uses his gifts to spread joy and happiness via conjured ice cream treats. 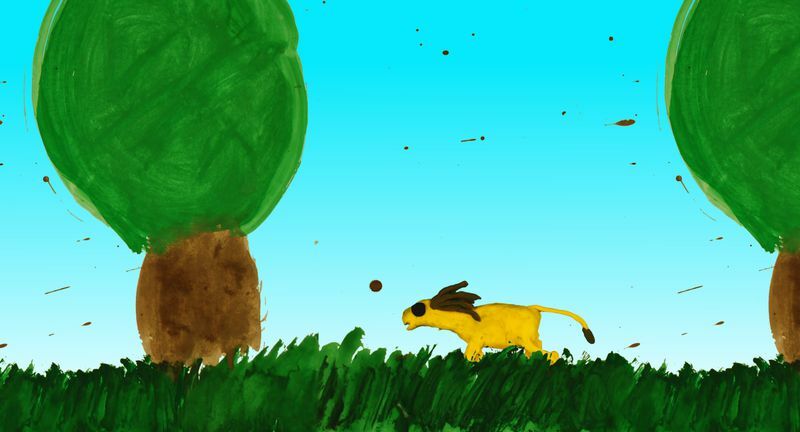 Wild Encounter is a short 2-D animation about a family’s trip in a drive through safari. While the kids want to feed the wild animals, the father only wants to keep his car safe from harm. It is all up to the father to put a stop to the oncoming slobber fest. The film is about an Indian truck driver’s journey on a highway and the events that follow. Caitlin is a teenage zombie that struggles with the fact that she has an arm with a mind of its own. Her arm would constantly get in her way whenever she is trying to do something. Pandu is a young Indonesian boy who lives in a rural village in Sumatra. His mother owns a small restaurant beside lake Toba. The film follows Pandu on his daily journey as he delivers his mothers cooked food to a range of clients living and working in and around the village. Through his journey we discover the extraordinary locations of Sumatran countryside and the interactions of its inhabitants. Pietro, a four year old child dreams of finding the brother he has always longed for. When he wakes up he sets off to look for him, involving all the children of the neighborhood in an adventurous and fantastic hunt. 1990s. Russia. The young family man falls a victim to criminal accident, in which he lost his wife. Since then all his life is a view from his window. He’s sitting and waiting for something joyful to happen. 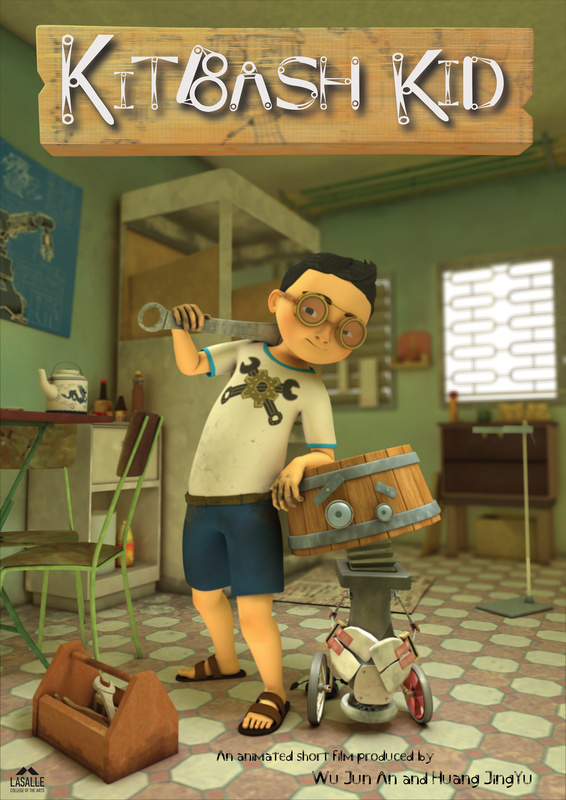 Eliot Trix is a young boy who is fascinated by fixing things. When Eliot’s father becomes terminally ill, Eliot struggles to come to terms with the situation. 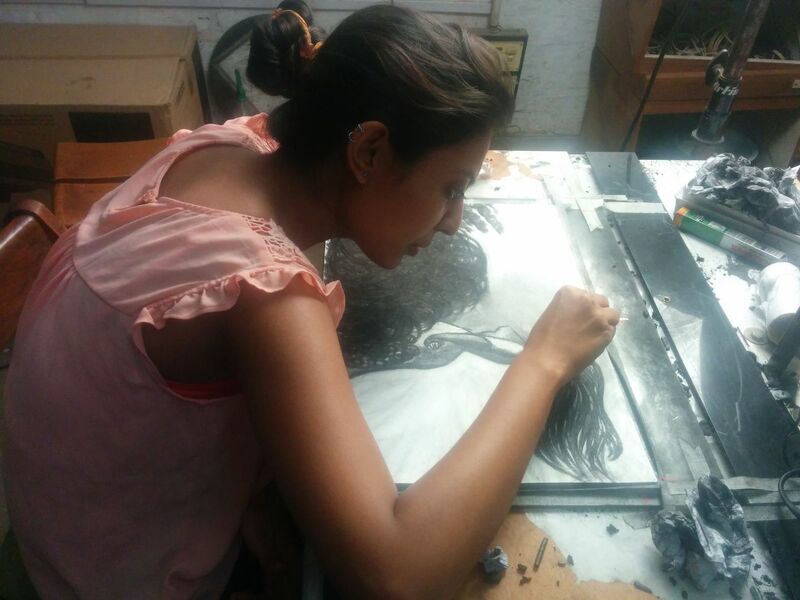 8-10pm the evening continue with the theme Framing Art as Life beginning with short animation films on the theme and continuing with Stephie Pheodora, a contemporary animation producer living in Berlin will talk about her new project, Black hand animation and Straight from the whom. 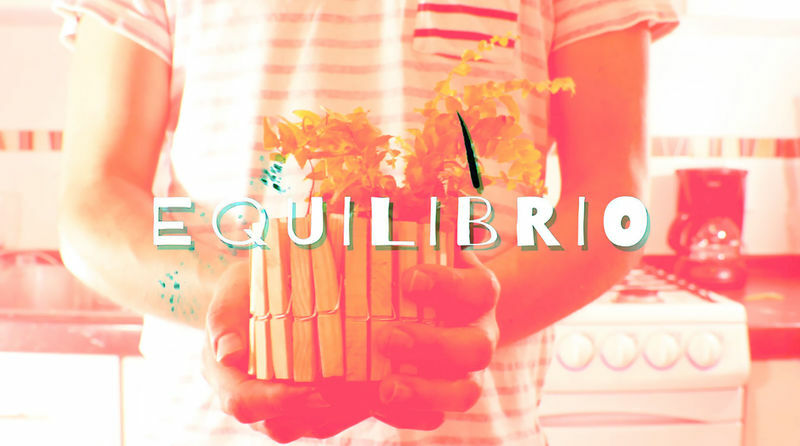 A mixed media film about the changing seasons. 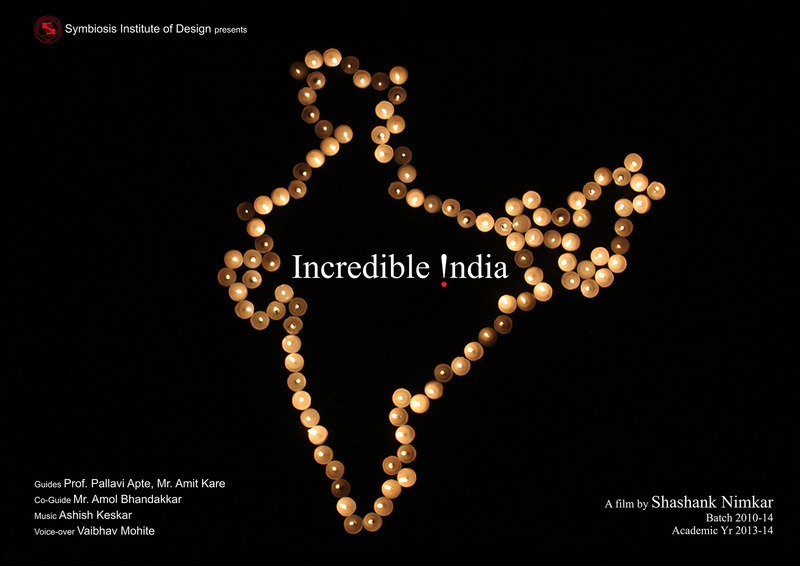 An animated film about Indian tourism, highlighting places of and experiences in India to invite tourists. Shot using 1,242 wax candles at around 50 degree Celsius temperature. It conveys a humor story about Cupid, who makes Adam and Evefall in love. This is a story about the Nobel Prize winning scientist Marie Curie, her scientific research about radioactivity and about a spider family that gets to know the effects of it. An unpublished painting, the meeting of two geniuses in a single painting arrives to the museum at a rainy night. Stephie Pheodora living in Berlin talks about her new project Black hand animation and Straight from the whom. 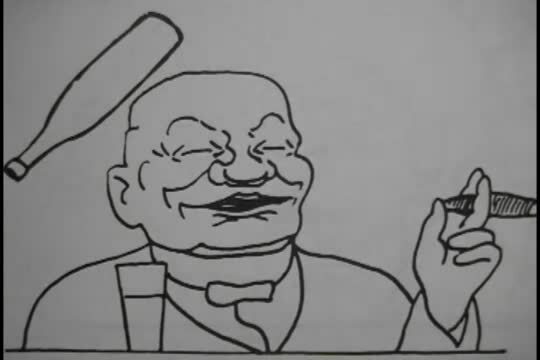 Black Hand Animation creates humorous animated social commentary. Stephie has been writing, directing, and producing for over ten years. Her career began leading her international theatre company, Black Hand Theatre, which she wrote and directed for on three continents. For this, Stephie won awards, such as Best Script, Audience’s Choice, Critic’s Choice and Best Director. The success of her company led her to become a sitting member of the ARTSmatters Panel, alongside the Governor General of Canada, as well as many other political posts, where she was an active voice in the Canadian arts community. After moving to Berlin, Germany, in 2009, she changed her focus to video games and interactive design. In 2012 Stephie joined the mobile games company, Wooga, as content designer for their hit titles, including “Pearl’s Peril”. 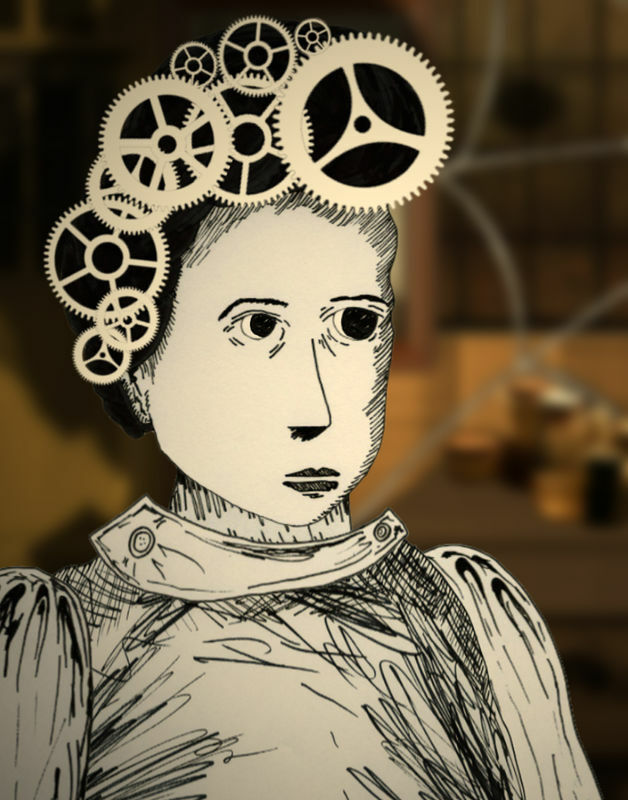 Inspired by the early actualities of the Lumière brothers and picture books, Everyday Life , is an ode to the cinema, a contemplative cartoon full of pop culture references. This story takes place in an ancient city by the sea. Adolfo, a young, reliable an analytical photographer who is in love with the city and Iris, a down-to-earth and sweet girl, witness a relentlessly march, in the atmosphere helplessness and hopelessness can be perceived, a perfect excuse for the plans of a white gloved man… If you could erase from your mind the bad memories, would you do that? In a normal quiet Sunday, Dr. Evil Mantis attacted K-City unexpectedly with his gigantic claw, the entire city in panic and in danger. 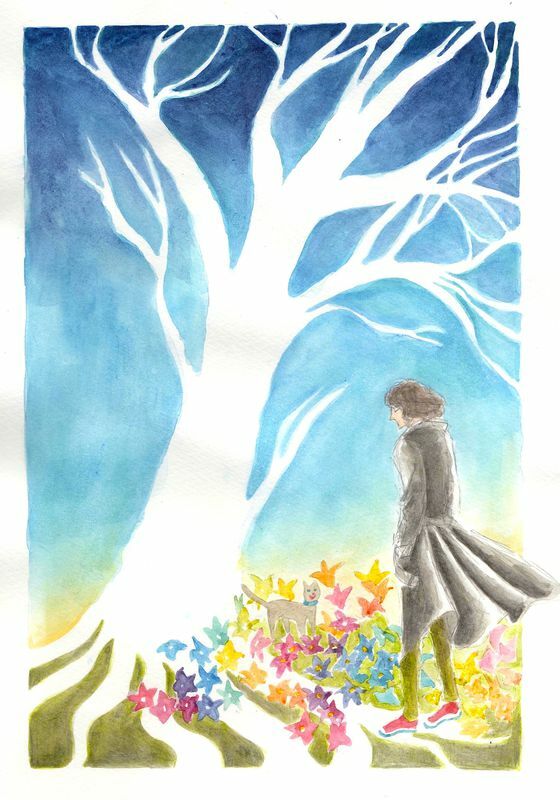 Created by watercolor technique, the movie gives some insight in a symbolic way into how external factors such as television, teachers, bosses, and friendship shape human mind. A story of a man who dreamed of the rainbow flower garden. He found an infant Tyrannosaurus-Rex and tried to stay with the baby, but the mother didn’t allow him to do so. A story of a promise made by a girl to her little brother Unni. She will knit him a sweater in his favorite color, blue, by the next full moon. Ten year old Ann Mary returns to a boarding school in her native land of Kerala to fulfil her NRI parents’ desire to learn their culture. The culture shock in her new environment accentuated by a field trip to a temple gives her nightmares. Every year at the custom, in the village of Mossi customary chief organizes a party in his kingdom called “rassandaga” in Moore, the meetings of party. 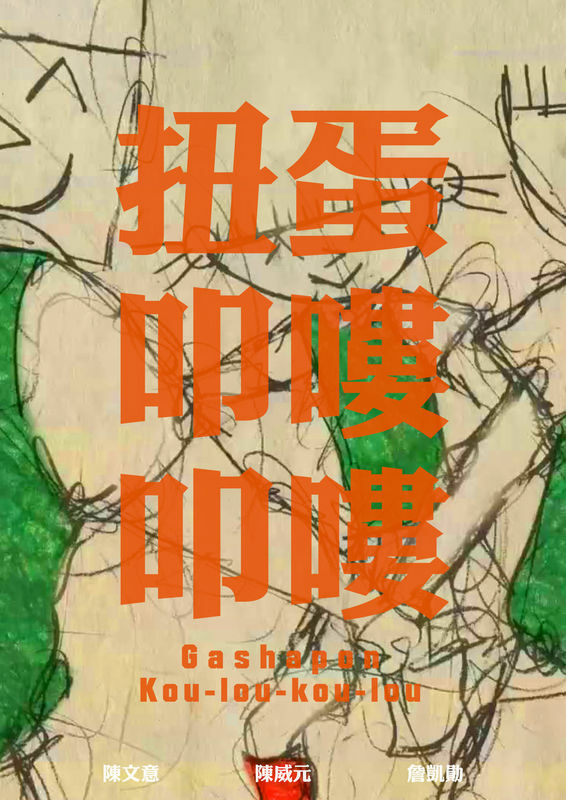 This year one, ripe young girls from the neighboring village decide to take part in the special event, a question perhaps to find Prince Charming, whose fledgling Mossi girl of their age dream one day. Inspired by a nature documentary, “Ahco on The Road” is the story of a baby elephant, ‘Ahco’, who is on a journey to find her way back home after being separated from her mother. In the lonely steppe of Mongolia a shooting star fall from heaven, altering the fate of two young children who embark on a journey that will mark his life. A young man is day dreaming when he gets distracted by an old wise man who tells him a secret about reality of life. Closing Festival for big and small , with cute stories (for children in the day and adults in the evening), children’s film, a mix of films made by children at culture- animation schools and students at colleges from around the world. The day ends with Framing change theme and Thousand Cranes for Peace & Environment 2015. A closing of the festival with short films dealing with the situation in our world concerning war, peace, environment , freedom and love. The day is divided into 3 different film blocks with 1-hour intervals for the opportunity to mingle, origami workshop , stop-motion filming your origami figures and to take note of the information and book stalls. 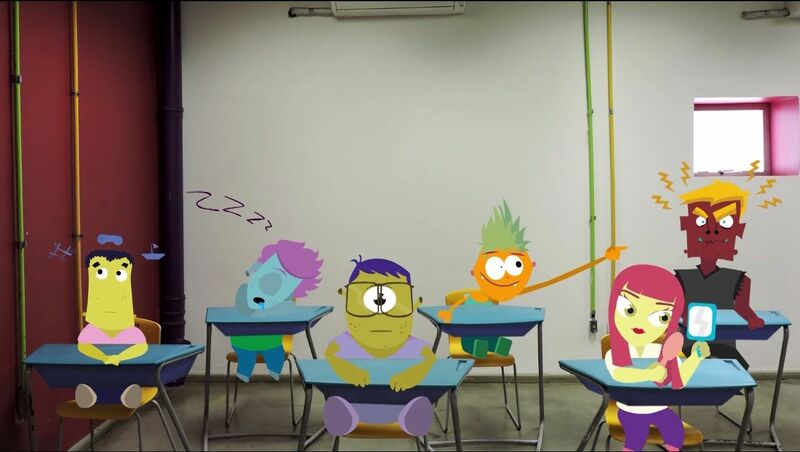 Animation about a regular day in the classroom that shows types of teachers and students. a normal school day . In the film , he describes a diagnostic test as a competition or a game. Jaulavia, a girl in the 3rd grade, discusses the things that are most important to her: drawing, music, and her family. With original score by the narrator herself. Juan, a Spanish boy, hopes to teach many things to Hamada, a summer exchange visitor from Africa. However, it is Hamada who teaches Juan something he will never forget. 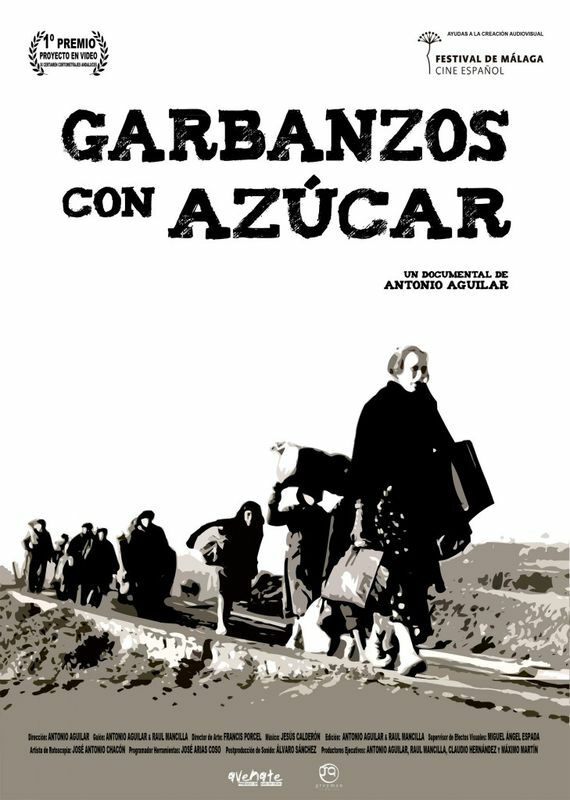 A man emigrates from Brazil to Spain in search of work. There, he realizes that each of us needs help from the other. Enchanted Ink is the story of May, a young Persian girl learning the magic of writing for the first time. When Jerry is kicked out of the jellyfish swarm for having one more tentacle than the others, he searches the ocean to find someone who will accept him. Maki the lemur chases an elusive bird through the jungle to catch a feather! 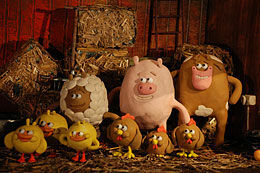 The animation was a collaborative 2nd year project with a target audience of 4-6year olds. Hope you enjoy it! Love, is the reason that our story want to convey. We want to tell everyone that we could inclusive everything if we fall in love with someone. A terminated robot learns the true value of purpose when it meets its superior replacement. Creative expression living in hiding, bothered by the noise of the authoritarian speakers, leaving the once colourful town empty and dull. Until Lilou arrive from out of town. All the animals love living down on Watermill Farm. Every day is an adventure and a time spent with friends. 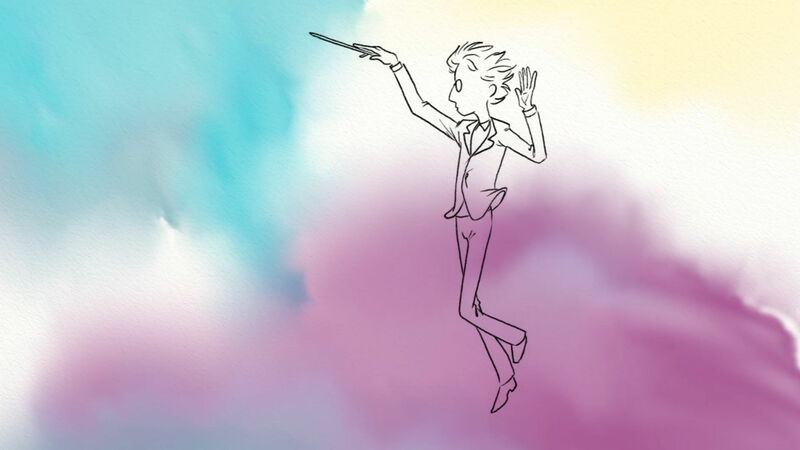 These delightful one minute ‘stop-motion’ animations were created by multi award winning animator, Trevor Hardy. It’s bed time and Mum reads to her son Toma a story about a Grasshopper and an Ant. We all see other people from our own perspective. Sometimes, we see something in the other person that no one else notices. 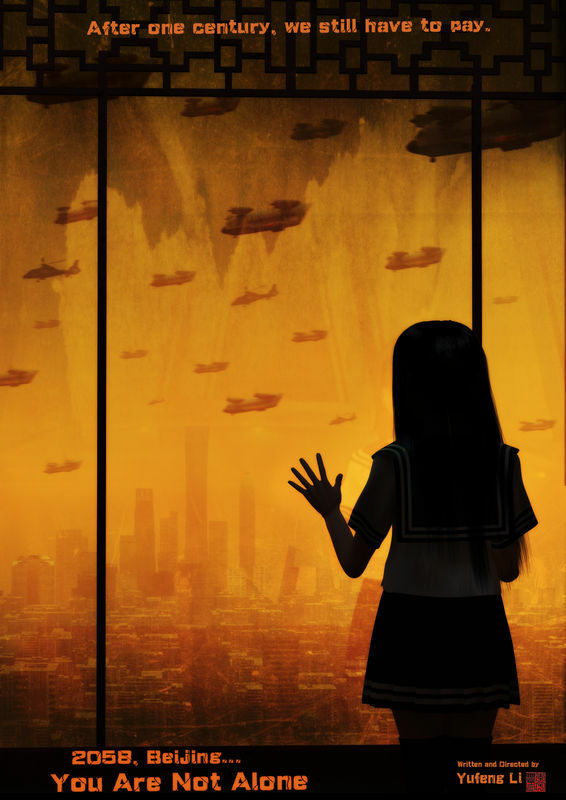 In this short film, the story details the curious sense of identification between people through our little heroine – Daiyu. A little young girl wandered in a forest and picked up some mushrooms along the way. Suddenly she saw a very cute little face under a big trunk. It looks like some kind of very cute and small size creature. The story is about a friendship between a boy and a robot. 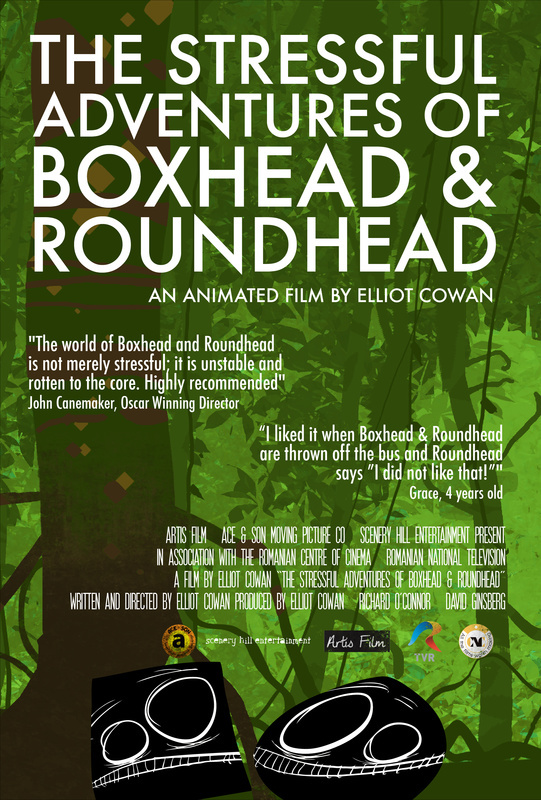 When their home is destroyed, Boxhead & Roundhead must head to the big city to battle red tape, rent, rats and the rat race to get it back. Art and industry, friendship and foul play are all in the mix in this, the most stressful adventure of all. The dayprogram ends at 4pm-6pm with films on the theme Framing change , Thousand Cranes for Peace & Environment 2015 in cooperation with Origami Association. African animals change the landscape as relationships between predator and prey unfold. A young polar bear lives in happiness. But polar bear’s life turns upside down when the human comes to it’s place & build factory. pieces of art from recycle items. A global Arms Trade Treaty (ATT) became international law on 24 December 2014. 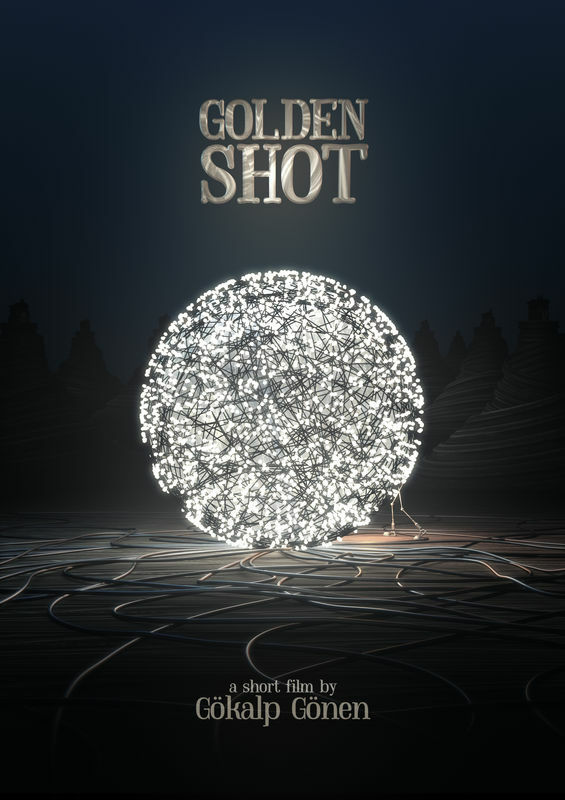 To mark this historic piece of legislation, gifted motion graphics artist, Nathan Bayliss produced a short film for Amnesty International to illustrate the global flow of arms around the world and Amnesty International’s work in promoting the treaty for 20 years. Everyday the mother says goodbye to her child before he goes to school and waits for him to come back without knowing if she will see him again, because of the bombs outside. Time ago, a winter morning, a little girl went out looking for firewood, she went away from home and came across a blood trail… she followed it. The blue marble is a fictional story based on the reality of child soldiers. A young girl and the other students of her village school are brutally kidnapped by rebels and sent to training camps where they are trained to become ruthless killing machines as child soldiers. A story of oppression and hope. After finishing the war some people(boots) who were not important and useless in the country became important and now are in the best position and rank of the Pyramid Power of government and in the showcase while they didn’t cost that much. Last September 43 Mexican students went missing after being held in police custody. 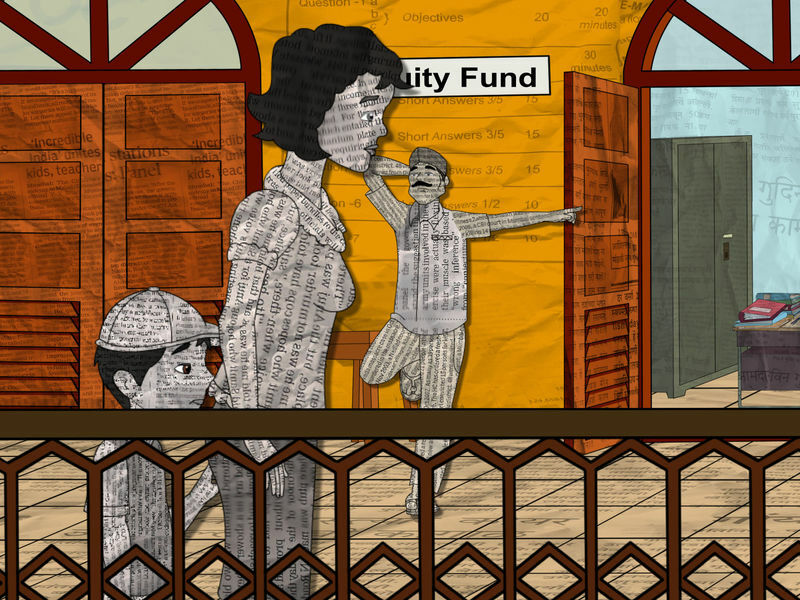 In this striking animated documentary, we hear the voices of those who knew them best – their classmates and relatives. They don’t trust the official version of events and are are determined to discover what happened. This public service film is an effort to eradicate the country’s biggest social evil and widely spread and rampant epidemic called “Corruption” through usage of a powerful Legal Act called the Right to Information Act, 2005 (RTI). Freedom for Jafar Panahi, and all imprisoned Iranian filmmakers. The story is about loving. As a human being you can only love in a certain way and you put that feeling on everything. You even put that love on God. Visualisation of the book ‘Quiet’, which explains the differences between introversion and extroversion and how to bring them together. The annual dinner commemorating the death of Cornelius, revives Samuel’s memories. He was 20 years old when he discovered is attraction to Cornelius. Tormented by regret and misunderstood by all, he never revealed his homosexuality to Cornelius’s family, whom he had invited that evening. After their departure, Samuel retires to his room, desperate, and seeks for refuge in his night life : he becomes a Queen of the Night, in tribute to his lost love. Once there lived Ryaba the hen with and old man and an old woman who were US spies. They were propagandizing LGBT to minors and tried to destroy Russia. But Ryaba was very patriotic and helped to save the country. The animated film is based on a philosophical tale by Maiia Fazulina (11 years). The main idea is that people are full of thoughts since childhood. But thoughts can be different. It is important not to get lost among them and value good thoughts. 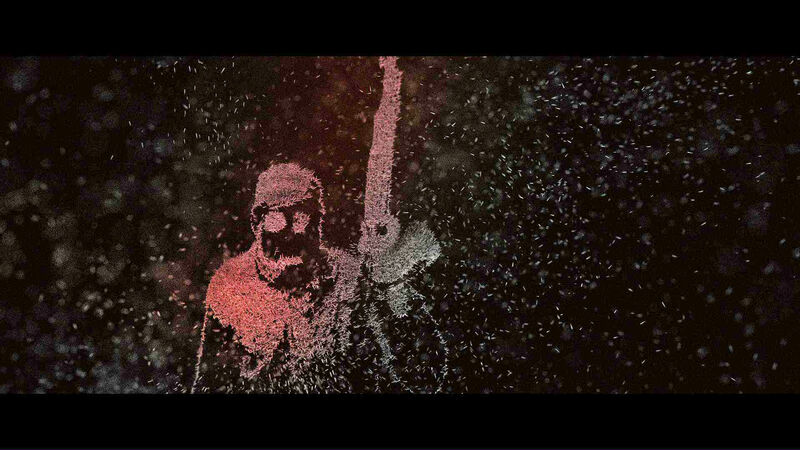 The Ballad of homeless is a short animated film. It’s a poetic and surreal journey into the lands devastated by the earthquake in Emilia (2012). 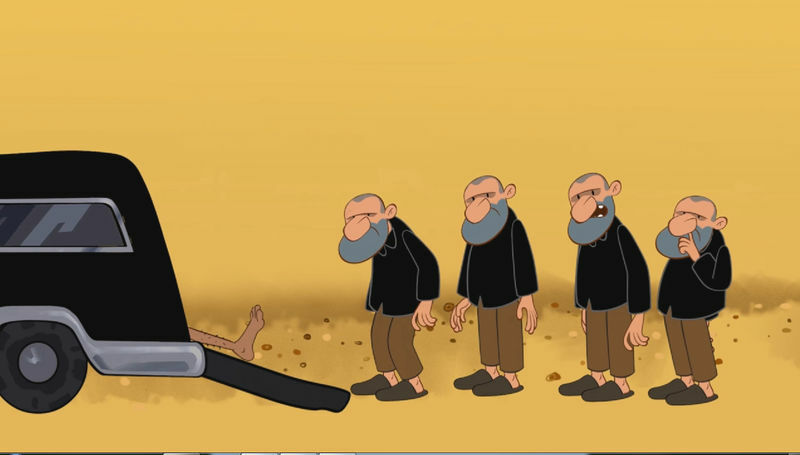 In this short film coins are the main characters. Coins come from anywhere of the house and they are just symbol of any personality of people that they get connected and in the end they make the logo of Society to Support Children Suffering from Cancer (Mahak Charity). Closing Festival for big and small ,with cute stories , children’s film , a mix of films made by children at culture- animation schools and students at colleges from around the world. The day ends with Framing change theme and Thousand Cranes for Peace & Environment 2015. A closing of the festival with short films dealing with the situation in our world concerning war, peace, environment , freedom and love. A short exciting nature documentary. created by Umair Zabihullah. 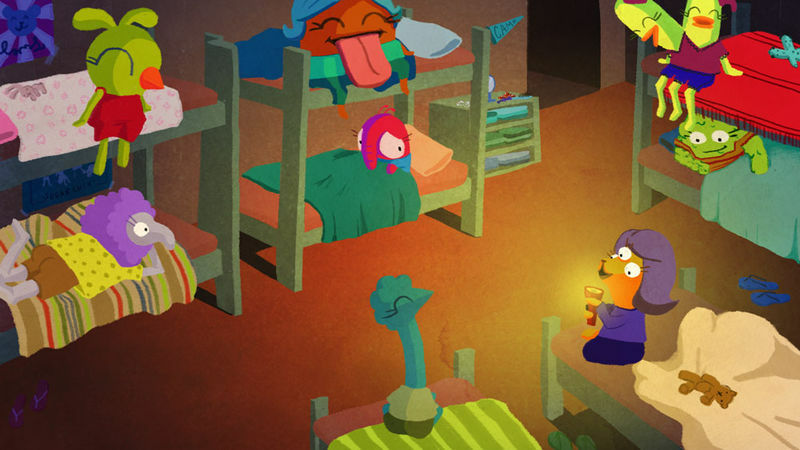 Spooked’ is an animated short steeped in traditional summer camp ghost stories. 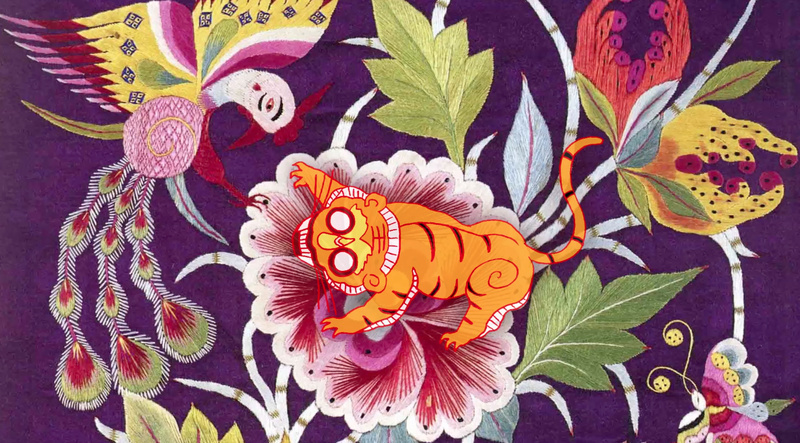 This is a recollective animated film exploring what it was like to be a kid in 90’s Singapore. The film follows two unreliable but keen observers – a boy and a girl – as they deal with their outcast primary school lives. A Badminton shuttlecock has fallen in the corner of the pitch. A tiny bird comes along and mistake the shuttlecock for his mate. 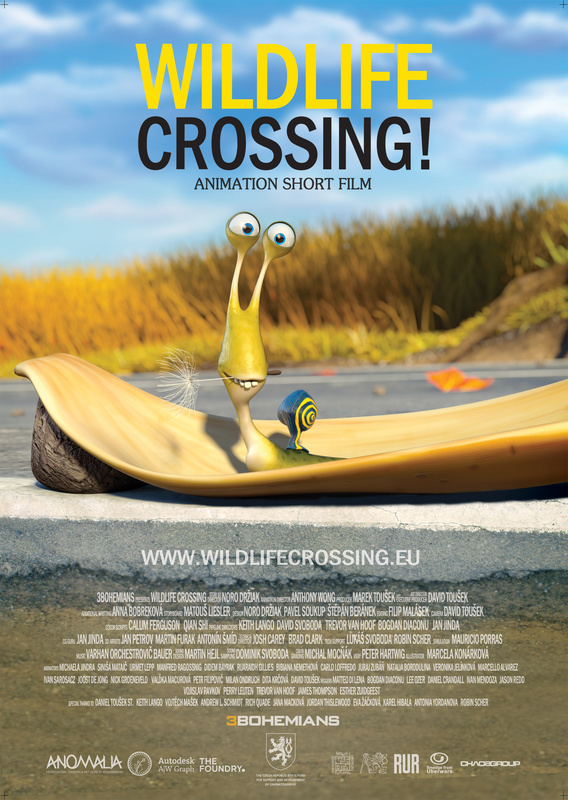 The story of a witty and dynamic narrative about love of two snails, which must overcome the pitfalls of the harsh reality that separates them – the road in the middle of the countryside. A unicorn-horned octopus and a talking purple chair fight to save their home town of Sunnyshine from a wicked king and his army. By remembering the story of a fish told by her mother, Daughter ‘Suni’ realizes that the story was not just about little fish who wanted to live freely, but was meant for her to understand that she should live her life with freedom, as her mother never did. Lucas, an average Singaporean boy, tries to take matters under his control. Upon realizing that sincerity comes from the heart, he finally breaks the ice with his neighbour, Angie. The character in the story lives a life free of action: a grey town, a grey office, a dull routine job. Still don’t be sad, there’s lot of wonderful things in the world and every day is a small new adventure, just learn to see rather than to look. A vain greaser with a good head of hair starts losing the exact thing he holds so dear. How will he cope with this fact and what stages does he have to go through to finally accept his loss? 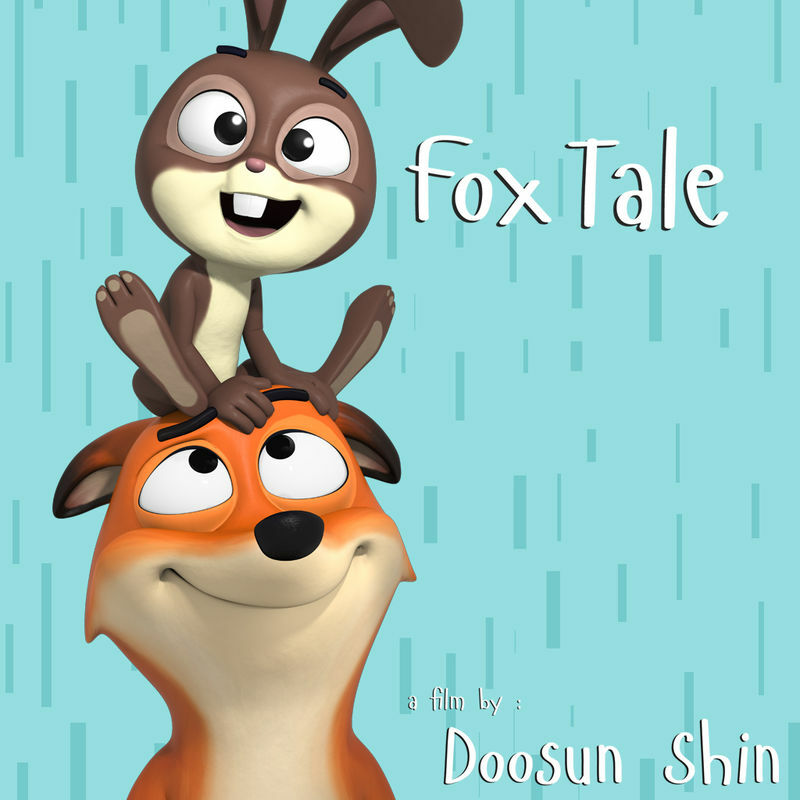 An animated short film about two members of the constabulary and their quest to restore a stolen egg to its distraught parents. The phenomenon of increasing Smartphone Addicts can be attributed to today’s cutting-edge technology. the mentally retarded politicians are playing golf while working line rolls on as usual. Gudrun calling Reinfeldt , she wants answers. We need balance, humanity must realize that natural resources are finite, that is exhaustible, and that the relationship between men depend on new ways of harmonising with nature, as well as current patterns of consumption. Many children and adult in the Middle East are wounded and killed by mines, shells, bombs and not done explosive devices, because they look like a toy. Children mistake these bombs with toys and take them to play. When they are trying to clean them and shine their metallic surface, these explosive devices get exploded in their faces and hands. The film is dedicated to the tolerance and moral aspects of interethnic relations. Getting into the flow of time, taking part in the dramatic events of the russian history, the heroine realizes that human life is the highest moral value. confront his fears. In the process he realizes that not everything unknown hides great danger. I lost my wife during an assault. A red-haired man entered my home, smelling of dried fish. He was carrying a weapon ; he used it on my family. Since then, I’ve been feeling a void ; a whole in my head. The story is about a boy who is caught in the middle of a revolution in his country and decides to run away from it. February 7, 1937. The entrance of nationalist troops in Málaga is imminent. A woman and her four daughters are preparing for a long way on foot to look for her husband. Hidden Heroes tells the epic story of how messages from families in India to their loved ones far far away, fighting in the trenches of France, were delivered in a world without telephone, texts, Facebook and email. The animated movie “Displaced” is a symbolised narrative inspired by the Tampa boat people incident of 2001, where rescued boat refugees were refused entry into Australia. A poem-based short film about Homelessness. The homeless man Paul is wandering into a big and rich city while he is trying to find out a place to call “home”. Short film about the unemployed Jonas. His thoughts take him back to his childhood and the Witchdingdilly, a woman he sometimes teased. He decides to find out more about her, asking his parents and sister. He makes his way back to her neighborhood to speak to her, but falters by the door and leaves. A surrealistic portrayal of a young girl struggling with self-image and discovering what truly makes her feel beautiful in life. handmade carpets are priceless, because they cast youth and dreams. but what about those girls? Ray is a single man, living in a block of flats in the UK. Ray likes the single life, just himself to look after, his own time in his own flat, just himself and a good book. Next to Ray lives’, single mum Paula and her six year old daughter Sophie. All is fine until ‘Wayne’, Paula’s Ex Junkie boyfriend comes to the flat looking for trouble. Ray hears the situation that is arising from next door but should he ignore it or get involved? What if the words coming from our mouths could turn into living creatures and start making decisions of their own? On Friday 11th mai 2001, police forces raided a disco on a boat, the Queen Boat and arrested 52 homosexuals. They were convicted of debauchery and put into jail for several years. The cartoon is about a girl, who came from a trip with suitcase so large and heavy, that she can’t pick it up on the stairs in front of the bridge. Documentary on the ground-breakin g puppet animation films with which the Dutch animation pioneer Joop Geesink conquered the world. 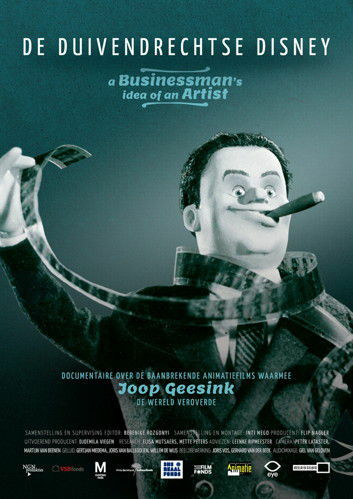 This documentary shines light on the innovative entrepreneurship of Joop Geesink and the unique talents of his animators through interviews with former employees and numerous memorable film fragments. IN.S.A.N.E. wants to thank you ALL for your wonderful films. Tack ALLA för alla fina filmer. & see you at Insane pop-up festivals that you now can book and next year for an even bigger IN.S.A.N.E.